Cahuita National Park is a dreamy destination, where coastal rainforest spills onto sand, and sand fades into the turquoise Caribbean. Here, a sandy hiking trail leads parallel to a blue-flag beach--a shimmering stretch of coastline that borders nearly 600 acres of living, vibrant coral reef. This fusion of colors, textures, and shapes is both spectacularly beautiful and ecologically fascinating. Snorkeling is extremely popular here, as Cahuita is home to Costa Rica’s best coral reefs. Swimming, canoe, and scuba diving are good fun in the water. Turtle nesting tours to see the loggerhead, leatherback and the hawksbill sea turtles that nest here every March-October. 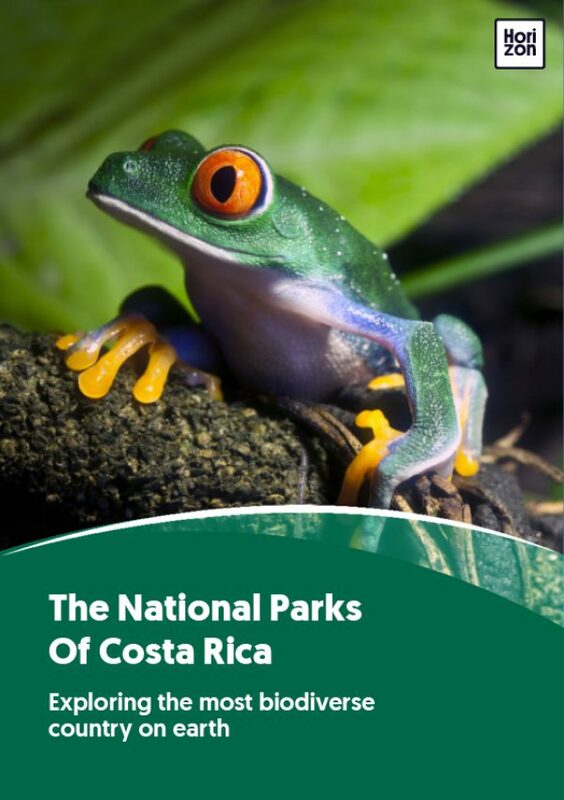 Hiking is very popular along the sandy, easy trail where wildlife sightings are the easiest you’ll find in Costa Rica. Playa Blanca attracts beach-goers with its blue-flag status white sand. Caribbean culture the population speaks a patois English as a first language (although everyone also speaks Spanish), and the cuisine is very Caribbean--jerk chicken, breadfruit, and coconut everything. Cahuita’s name comes from two indigenous words: kawe (“sangrillo”) and ta (“point”)--Cahuita, or Sangrillo Point. There are restrooms, potable water, showers and changing rooms, an information center, picnic areas, and parking at the Puerto Vargas sector. The park also has well trained guides, as well as a lifeguard. This coastal region is warm and humid year-round, with rainfall common. The weather is unpredictable, so raingear is recommended. Insects here are pervasive and furious, so bring plenty of repellent. The southern Caribbean sees a flip-flop of its seasons; in opposition with the rest of the country, the dry (more accurately, drier) season here is May-November, and the rainy season is November-April. Any time of year offers good hiking, especially in the morning, but if you’re here for the turtles, plan on March-October. This season also sees less rain, so snorkel/scuba waters are generally clearer. The park’s only trail measures almost five miles and connects the Kelly Creek Ranger Station, in Playa Blanca, to Puerto Vargas. Only a mile of the trail is not the sandy, coastal path for which Cahuita is so well known. On land, Cahuita National Park comprises lowland coastal rainforest. In the water, the park is home to an impressive 600 acres of coral reef. The most exciting wildlife at Cahuita lives in the water: the reef is home to a huge variety of corals (staghorn coral, sea fans, and more), sea cucumbers, octopuses, Caribbean lobsters, and 125+ fish species, including angel fish, tropical parrot fish, butterfly fish, and the (invasive) lionfish. On land, there are 400+ bird species and a good variety of mammals and reptiles, among them howler and white-faced monkeys, two- and three-toed sloths, basilisk (aka Jesus Christ) lizards, eyelash palm pit-vipers, green iguanas, armadillos, anteaters, and agoutis. For international flights, the closest airport is SJO; local flights travel into Limón. From there, it’s 29 miles south to Cahuita. Most visitors to the area stay in either Puerto Viejo (slightly more urban, with more of a party atmosphere) or the town of Cahuita (more tranquil). There are two park entrances, one at Puerto Vargas and the other at Playa Blanca. Playa Blanca is the more popular, easier entrance, since you simply walk in from the town of Cahuita.